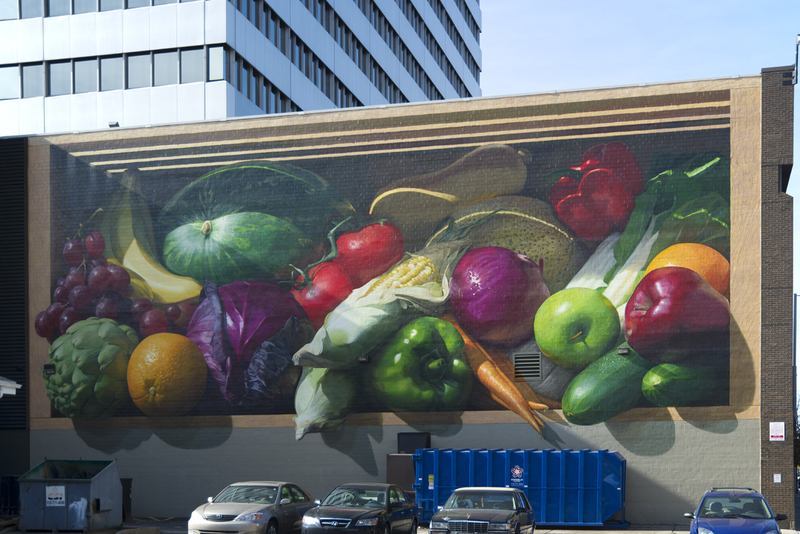 This mural brings the essence of farming to a monumental scale. Inspired by the power of classical European paintings, the design shows dramatically lit produce on the verge of spilling out of a crate, fresh from the field. The vibrant colors and dense composition add a modern flair to this traditional theme. In partnership with the Kroger Co.